Lauren chatted with us about her wedding and about finding her dress - see what she has to say below! 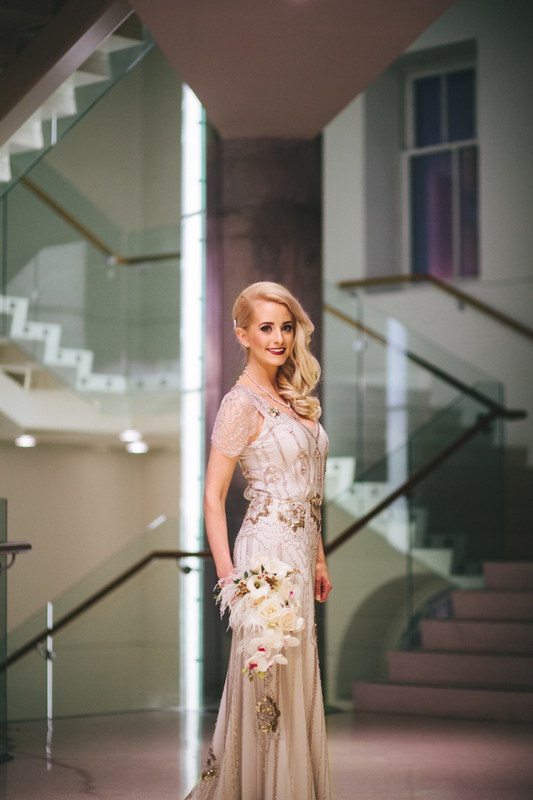 How did you choose the Jenny Packham Eden gown for your wedding? What made you decide that it was THE dress? I actually followed Jenny Packham for a couple years before I was even talking about marriage with my now husband. I live in Dallas, TX but I'm from Denver, so after we got engaged, I looked up shops where Jenny Packham dresses were located and the Little White Dress came up in my searches. I ended up visiting family in Denver and we stopped at LWD to check out the Jenny Packham gowns. I tried on two dresses only- the Damask and the Eden. The Eden was "the" dress immediately--I loved the detail and I could tell that the fit would be so flattering! I'm a little more conservative and I wanted something very unique and timeless...it was just perfect. What was your experience like at Little White Dress? It was so easy and fun. I'm a very laid back person so I felt very comfortable there, as I wasn't pressured at all. Talia helped me try on the dresses and the whole experience went so smoothly. Do you have any advice to brides currently in the process of finding their wedding dress? I think my only advice is to choose something you like and what you're comfortable in. You have to LOVE your dress and feel like it was made for you! Congratulations to Lauren and Ahmed, and many thanks to Tyler Jones for the beautiful photos! Awesome August at Little White Dress! Little White Dress Awarded 5280 Magazine's Top of the Town!